We didn’t find out about NAIT until after the birth of our second son, in fact I was pregnant with our third son when NAIT was first mentioned. 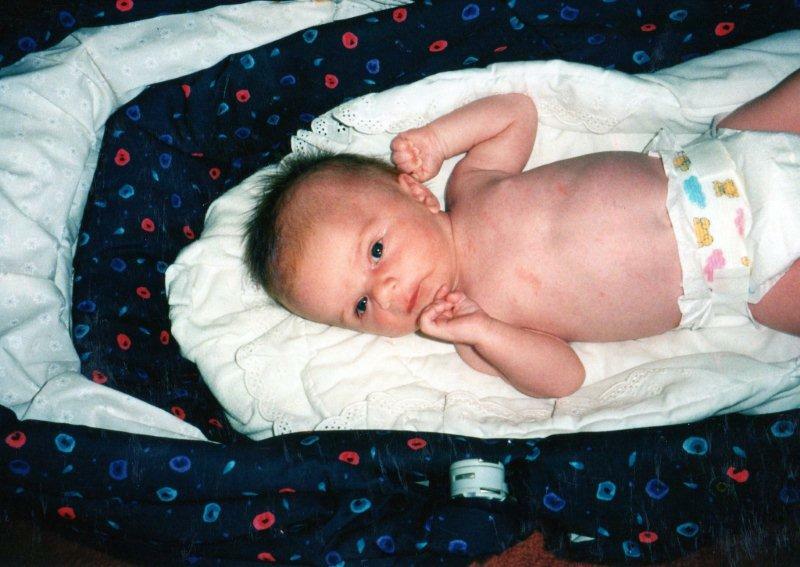 Our first son, William was born in 1999 and was generally what you would class as a normal pregnancy and birth. I was induced at 6pm and he was born at 4am so pretty good going. 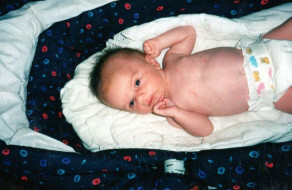 It was 2002 when our world changed with the birth of our son James. My pregnancy was ‘normal’ until I hit 13 weeks pregnant and started to bleed. Initially we were told they couldn’t find a heartbeat and we were losing our baby. 24 hours later and a scan finally confirmed our baby was ok but I continued to bleed heavy thick red blood until I was 23 weeks pregnant. No one ever said why. I can’t explain it but my whole pregnancy I felt something was wrong. Fast forward to me being 2 weeks overdue. I was admitted to hospital to be induced. The hospital were too busy to induce me when I arrived but did a trace of my baby’s heartbeat. The trace showed that my baby’s heartbeat kept disappearing but they said they were busy and I couldn’t be induced until the next day. Worried but fed up and knowing I wouldn’t be induced until the next day I said I wanted to leave. A doctor came to see me and told me that because of the baby’s trace they did not want me to leave and it would be on my head if I did. I stayed….but there was no further monitoring of my baby that night which begs the question why if they were worried did they not check further??? 8am the next morning and I was taken up to delivery to be induced. Again, I can’t explain the difference I felt being in labour this time compared to my first time. The pain this time was different…it was a pain, that to me felt wrong… I knew that something wasn’t right although I know that sounds mad. My mid-afternoon I was only about 3cm dilated and they told me my baby was in distress – if you ask me he had been in distress for days. They suddenly decided on an emergency c-section and I was whisked off to theatre…husband in tow. The surgeon who delivered our son said that when he first saw the size of our sons head he thought he was going to be a 10lb plus baby…he weighed 7lb 8oz. We named our son James after my grandfather and if anyone asked. I said he was the perfect baby because all he did was sleep. I know now of course it was because he was ill. In hospital even the nurses commented on how much he slept and never cried but no one checked him. I look back at photos of him over the first few weeks of his life now and I can’t believe I didn’t see he was sick. He was pale and all he did was sleep. He would cry only if he was hungry which was about every 5-6 hours but stopped as soon as he got his milk. I will forever feel guilty that I didn’t see it but to me he was just my baby and I didn’t see he looked sick. During our first mother and baby health check the doctor immediately measured my sons head circumference – it was right at the very top of the scale. We were sent to the hospital for an ultrasound of his head followed by sedation and an MRI. We were told our son had had a ‘significant’ ICH which had destroyed most of his frontal and temporal lobes. The bleed had formed a blood clot which had blocked the flow of CSF fluid through his ventricles in his brain. This caused Hydrocephalus. We were lucky, the blood clot dissolved on its own and the flow of CSF fluid was able to resume. Sadly the damage had already been done. James has a porencephalic cyst and has been left with hemiplegia on his left side. We feel that we have been incredibly lucky… we were told he might not walk or talk which just shows doctors don’t know everything. James wears a splint on his leg, his head is now a normal size (his body has caught up), he has some visual perception problems such as poor visual memory, sequencing and spacial awareness but attends mainstream school and he is doing ok. He may not be able to add 7 + 6 without counters but he can recall facts and names of places, buildings etc. better than anyone I know. He is bright and intelligent but struggles to get it down on paper – he finds it much easier to use a laptop instead. Once of year he has botox injections in his leg and has his muscles stretched with plaster casts (which he loves because no one can kick him during football or rugby practice). He has a large group of friends and has never been bullied or teased – he’s not afraid to stand up for himself! When I got pregnant again 4 years later we were referred to a consultant at our local hospital who is the only doctor we have met who knew what NAIT was. She recommended testing my husband and myself because she felt it could be what had caused James’ bleed. The results came back as an incompatibility for HPA 3 and our third and fourth pregnancies were both monitored for antibodies. 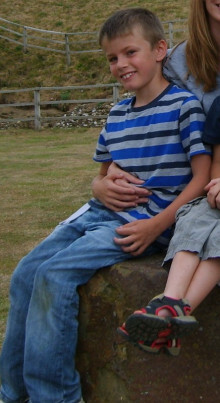 Our third son Toby was born in 2006 and our final son Theo was born in 2009. They were both born at 37 weeks by c-section. We fall into the 50% , so we were lucky that just 1 of our 4 boys was affected. James pushes himself everyday and won’t let anything stop him. His school said that he needed to accept that he was different to the other children …. rubbish … I taught James what we are all different and that’s what makes us all unique. Everyone has strengths and weaknesses. James has never and will never be treated any differently to our other children. He was told from a very young age what had happened to him and is now so blasé about it, it’s laughable. I honestly believe that nothing will ever stop James and all of his progress is down to his attitude and determination – like all the NAIT babies – he’s a fighter.